SKU: 45468081024. Categories: Accessories, Orthotics for Women, Brands, Aetrex. 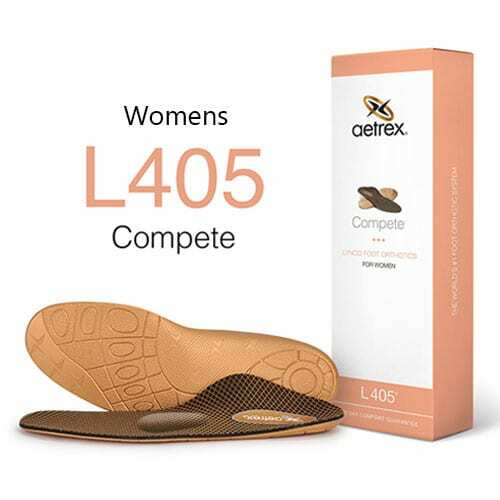 Tags: Accessories, Aetrex, Insoles, L405, Orthotics, Shoe Care Products. Supported Forefoot: With metatarsal support for weight distribution. For those suffering from ball-of-foot discomfort. Cupped Rearfoot: Cupped rearfoot for cushioning & stability. For medium/high arch feet.